The following sites offer resources for singers, choral directors, opera lovers, and voice teachers. For vocal health info, see the Wellness page and Chapter 13 of The Musician’s Way. Career links are posted on the Music Careers page. The Total Warm-up. An inclusive approach from The Musician’s Way Blog. Dr. Ingo Titze’s Favorite Five Vocal Warm-ups for Singers. From the National Center for Voice and Speech. Influence of warmup on singing voice quality. The beneficial effects of vocal warm-ups (Journal of Voice, 19/2, 2005). Vocal health resources on the Wellness page at MusiciansWay.com. Free opera scores from the IMSLP. Online Music Scores. Extensive links posted on the MW Practice page. Opera scores from the Indiana University Library. Univ. of N. Texas Rare Music Room. 18th-century French opera manuscripts. Operavision. Free live and recorded opera performances from Europe. What the Fach?! A Guide for Opera Singers Auditioning & Working in Germany, Austria, and Switzerland (2010), by Philip Shepard. The Aria Database, maintained by Robert Glaubitz. 200 Opera Plots. Free ebook by Gladys Davidson (1911). National Opera Teacher & Educator Resource. Operagasm. A lively blog with news and commentary. Opera News. A publication of the Metropolitan Opera Guild. Operabase. Info about performances, artists, managers, companies. YapTracker. Find and track opera auditions. $55/year. More Music Career Resources via MusiciansWay.com. OperaWorks.org. Workshops in artistry and career development. “Giving a Semi-Hearty Cheer for Semi-Staged Opera.” NY Times, 2014. Free choral scores from the IMSLP. ChoralWiki. The Choral Public Domain Library. Choristers Guild FAQ. Tips for leaders of children’s choirs. Choral Repertoire, by Dennis Shrock (Oxford 2009, 800 pages). Prescriptions for Choral Excellence, by Emmons & Chase (Oxford, 2006). Vocal Area Network. New York City area. “The Significance of Choral Singing for Sustaining Psychological Wellbeing.” By Clift and Hancox (Music Performance Research, 3/1, 2010). “An Investigation into the Choral Singer’s Experience of Music Performance Anxiety,” by Ryan and Andrews (JRME, 57/2, 2009). See the Performance page for more performance anxiety resources. British Choirs on the Net. Free scores from the IMSLP. Online Music Scores. Links to diverse resources via MusiciansWay.com. Vocal Sheet Music from Amazon. Online scores – songs. From the Indiana University Library. MusicTeachersHelper.com. Create a voice teaching studio website, accept credit card payments, and more. Free trial. LiederNet Archive. Texts and translations. A Handbook of Diction for Singers: Italian, German, French, by David Adams (2nd edition; Oxford, 2007). Voice Production Tutorials. From The National Center for Voice & Speech. National Association of Teachers of Singing (NATS). Resources & articles. Find a voice teacher in the U.S. and Canada, courtesy of NATS. Find teachers of voice & speech, via the Voice & Speech Trainers Assoc. Singsician.com. Career, health and technique tips. VoiceCouncil.com. Advice for emerging singers (archive; not updated). SingWise.com. Technique tips by Karyn O’Connor. Articles for Singers, from Vocal Process. Classical Singer magazine. Articles, links, resources, tips, forums. Vocal repertoire compiled by Thea van der Putten, with links to fact sheets. The African American Art Song Alliance. 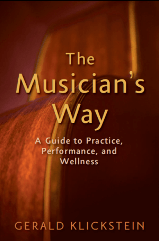 The Musician’s Way, by Gerald Klickstein (Oxford, 2009; 14th printing, 2018). Comprehensive guidelines to learn, memorize, and perform songs as well as build a career. On the Art of Singing and other books by voice teacher Richard Miller. The 21st-Century Singer: Making the Leap from the University into the World, by Susan Mohini Kane (Oxford, 2015). The Ultimate Guide to Singing. Advice from 136 experts, including Gerald Klickstein. Researching the Song, by Emmons & Lewis (Oxford, 2006). Diverse books about singing, via Amazon.com.